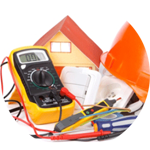 Looking for an Electrician in Leatherhead? Great! You’re in the right place! Introducing The Handy Squad, London Handyman service with a team of qualified, reliable, proficient and friendly electrician in Leatherhead. 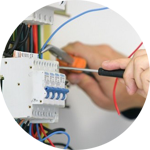 No job is too big or small for our expert electricians! 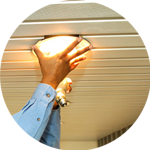 Our team can install or replace many different electrical appliances with ease. 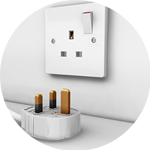 We install sockets, switches and light fittings as well being able to implement new cabling, both surface-mounted and chased-in. 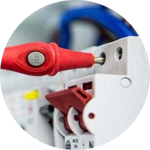 Discovering a technical issue or a broken appliance can be tackled by our fault finding and repairs service. Taking on these problems is often a difficult and dangerous task, but we have people, ready to take on these jobs both safely and securely. Leatherhead is situated on the band of the River Mole. The streets in the town are used the stage the annual London-Surrey cycle classic. The Surrey based town has a rich theatrical history that dates to the Tudor period. The most prominent venue is the Victoria Hall which opened in 1890, this was used for popular melodramas. It’s not just electrics on offer! 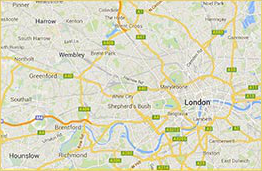 We also have carpentry in London, decorating in London, plumbing in Leatherhead. For a instant quote, book online now or call 0800 0 12 12 12.